A little sister for Jackie and Benjamin, Caitlin Faith, born at 1536 on February 18th, weighing in at 7lb9.5oz. I started off writing an epic birth story, beginning with Benjamin being admitted to the Sick Kids in the middle of Sunday night during a three-hour tonic-clonic seizure and culminating in Caitlin’s rather sudden birth on Thursday afternoon, fortunately in the safety of the labour ward rather than in a layby on the side of the A1, as seemed likely at one point. 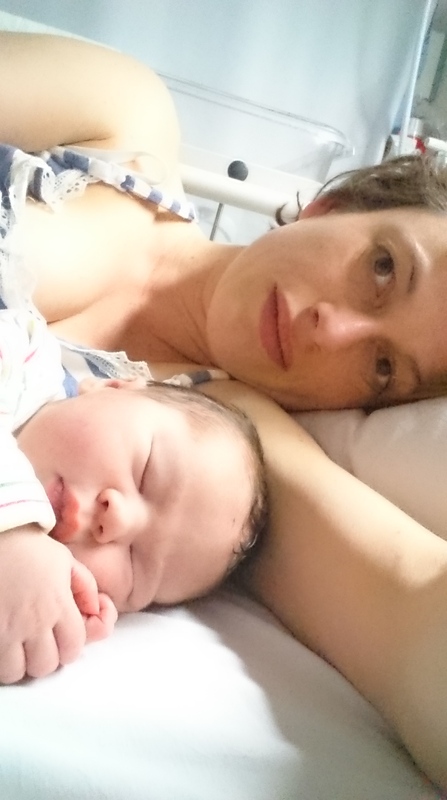 But it was all rather dull and self-absorbed, so let’s skip on to last Friday morning when, after a big pile of fantastic hospital toast, we brought Caitlin home. I think I was probably in some kind of shock. I had lost a fair bit of blood and a fair amount of sleep, of course; I felt like I had been in a rugby scrum. But I was also completely unprepared, mentally. Twenty-four hours ago I had been picking up Jackie from nursery. 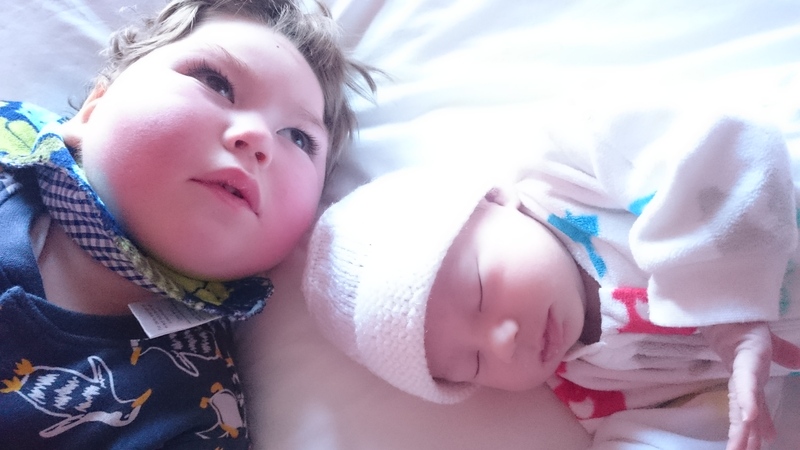 Forty-eight hours ago I had still been in the Sick Kids with Benjamin. Three weeks ago I had not known whether we were going to have this baby. I had barely envisaged the human being inside the bump; hadn’t communicated with it; hadn’t bonded. I didn’t know how to respond when the midwives said “Congratulations” – no one said that last time. We’d never brought a baby so young home before. With both my previous two I’d had a precious few days in hospital to learn the ropes, under the reassuring eye of midwives and paediatricians, and to get to know them in peace. Yet here we were, with a less-than-one-day-old, back at home with Jackie and Benjamin, Nanny and Grand-dad, doing the nursery run, reading bed-time stories, sharing the cuddles. I’m terrified our joy won’t last. After Benjamin, I am constantly analysing Caitlin for signs that there might be something wrong with her. Counting her fingers and toes. Watching her awake and asleep. Although she’s passed all her tests, she feeds well, she’s bright eyed, alert and wriggly, I wonder is her head too small? Her body too big? Her legs too skinny? Her breathing too fast or too noisy? Should she be moving in that jerky way? Is that normal baby posseting or reflux? What if she has a fit? She’s so perfect, do we really deserve her? And it’s gutting to watch Caitlin, at a few days old, doing things that Benjamin still can’t. Kicking her legs, sucking her fingers. Already I have to be more careful where I put her in case she wriggles off the edge of the bed or the sofa. Having convinced myself Benjamin is functioning at the level of a few months old, I’m being back brought down to earth with a bump. Yet for all that, it is wonderful. A new little life is always wonderful. Suddenly our little family seems a lot bigger. More chaotic, yes, but somehow more of a family. As I rushed through the front door to hug Jackie, who I’d barely seen for days, she neatly sidestepped me, yelling I want to see the new baby! Benjamin just gives Caitlin sideways glances and the occasional accidental side-swipe with his arm. But when we’re all together on the sofa, or in bed in the morning, it feels great. Jackie will always be my special first-born but now she’ll have someone to play with, to boss around, maybe to share a room with. Benjamin will always be my baby boy and now, sandwiched protectively between his two sisters, will always have people to love him. 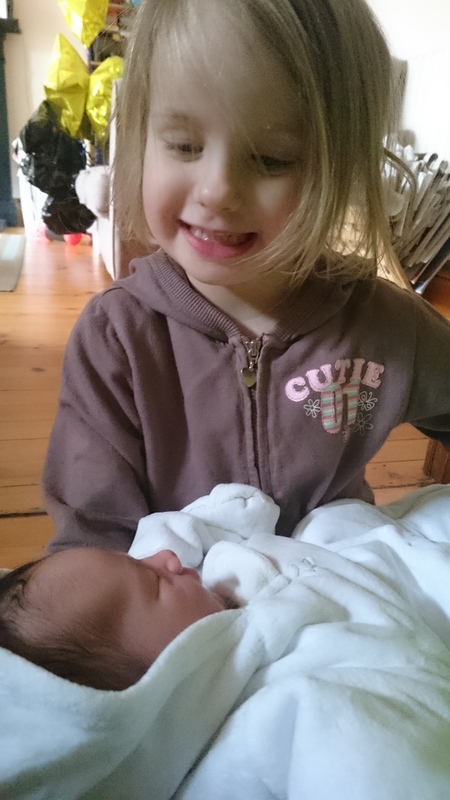 And Caitlin, our new baby girl, conceived with so much trepidation but so very much wanted, completes us. ← What are we letting ourselves in for?